Rotting, Warping, Splitting and Twisting Wood and How to Prevent it! When deciding to take the plunge and invest in an expensive new fence, homeowners are often faced with questions regarding the likelihood of the wood splitting, warping, twisting, and especially rotting. Nobody likes the idea of spending thousands of dollars on a brand new fence to have it bowing and warping all over the place within a year. Many companies specifically state they are not responsible for any disfiguring of the wood because it is a natural product and therefore we have no control over it. Luckily, this isn’t completely true, and their are options and techniques to prevent these issues! Yet this isn’t completely true. 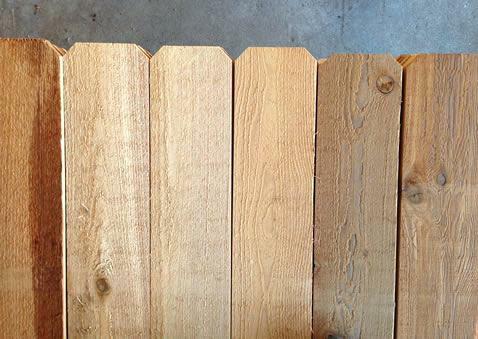 There are different types of grades of lumber, different species, different cutting techniques, different treatment processes, as well as the way it is installed, what time of year, if it is painted or stained, even the fasteners used all can make a difference in this difficult question of “how do I prevent my fence or deck from warping or rotting early on, and how do I ensure it lasts for years if not decades to come. Why does Wood Twist, Bend, Warp, Bow and Rot? Before we get into greater detail the measures one must take to reduce the likelihood of wood warping (Section 2 of the Guide), we must first understand why wood has a tendency to transform in the first place. While wood is a great product and has many outstanding properties, it is still a natural material that is porous and each piece of wood has its own individual characteristics. So what is the reason wood warps? Many have the misconception it is from moisture! This is partially correct, but it is actually not the moisture content that causes the actual deformations. It is when that wood which had a high moisture content at one point, dries out and therefore shrinks that causes the problems. Uneven drying creates stresses in the wood which then result in the wood bowing, cupping, twisting, or cracking! In other words, wood warping is deformity in wood occurring when moisture content of different parts of a piece of wood changes unevenly. For even further explanation, we found a great video on YouTube regarding this very subject uploaded by Stumpy Nubs! You can Check out the Video here: Why wood warps/cups, and how to stop it! 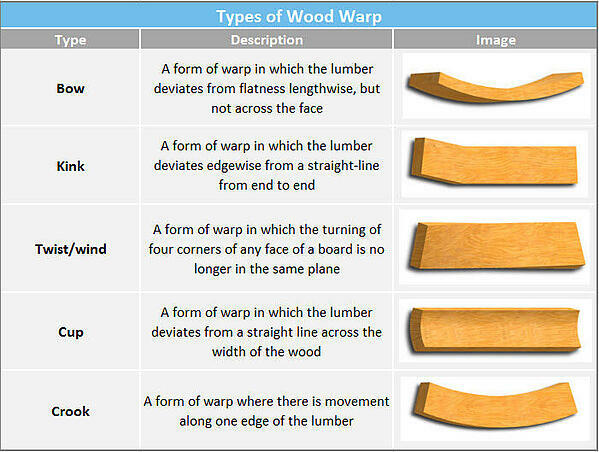 Note that different types of wood warping are not mutually exclusive. Different warping shown in the same piece of wood could be a sign of multiple problems related to moisture content. The degree of the warping is dependent on several factors. The species of wood and its grain pattern, the uniformity of drying, sawing techniques, storing techniques, as well as various construction techniques. These factors will be discussed in greater detail below! 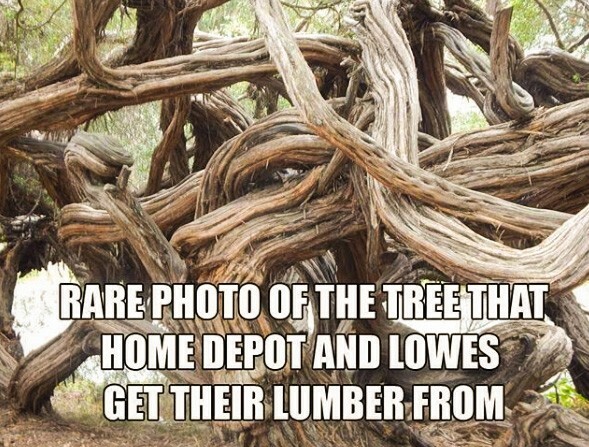 One of the first factors a homeowner or contractor must consider is the species of wood. There are a few species that have been used to build fences, decks, and other outdoor structures for decades now, and this is due to them being less likely to warp or crack then others. The following 3 species of wood are much more stable to warping and a good choice for any outdoor project. Redwood – This wood has a comparably straight grain pattern but also a natural chemical inside that protects against moisture infiltration. 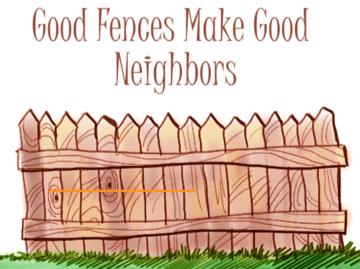 It is our most preferred wood when building any type of privacy fence. Fir is very stable once its moisture content reaches equilibrium with the relative moisture of the surrounding air. At equilibrium, or when the wood is “seasoned”, fir will undergo very little shrinking or warping. Cedar is among the densest wood species, which helps prevent cracking due to changes in moisture. Although we have only listed the three most common wood species to be used for outdoor projects, there are certainly other wood species which may be more or less suited for specific applications. To learn if the wood species you’re using is especially vulnerable to warping, check out the Wood Handbook, a free guide from the U.S. Department of Agriculture. Other Precautions to Take to Prevent Wood from Warping! Although we only touched on one of the several factors to take into account to prevent the disfigurement of wood, which is the species of wood, there are several more factors involved. Contractors must take extra precautions all the way from the forest to the fence. From the way the grain patterns layout on a specific board to the location of the tree the board has been cut from, these all make a difference. Then on to the treatment processes the wood goes through and the storage techniques the lumber distributor and eventually lumber yard used also are going to make a big difference in the woods tendency to warp or split. Lastly, the proper drying or curing techniques employed by the contractor or homeowner and the building techniques and fasteners used when constructing with the lumber, will also make a difference! 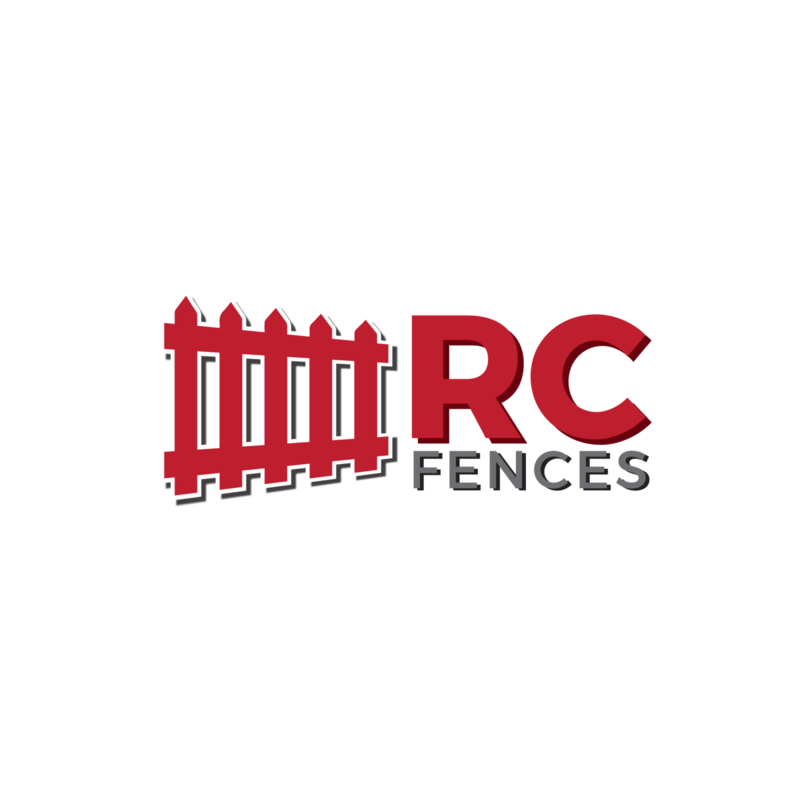 Do not miss part #2 of RC Fences and Decks comprehensive guide to wood warping and steps to prevent it! In the second and final part of this guide, we will delve deeper into understanding equilibrium moisture content, monitoring moisture content and checking for warping during inspections as well as the proper storage and curing techniques!